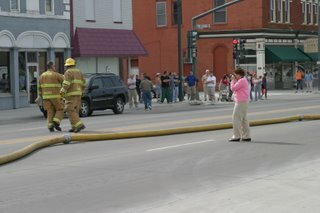 I've known that people tend to stare when disaster strikes, but I hadn't realized it was such a spectator sport. 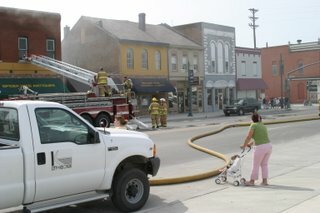 As I was driving home today, I came across the scene of firefighters fighting a fire in a main street building. People pulled into all kinds of parking lots, walked from down the street to stand and stare as one young woman watched her worldly belongings go up in flames. 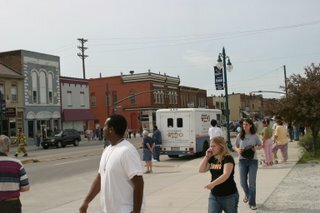 In the midst of all that staring, I saw a few people be true ministers to others. 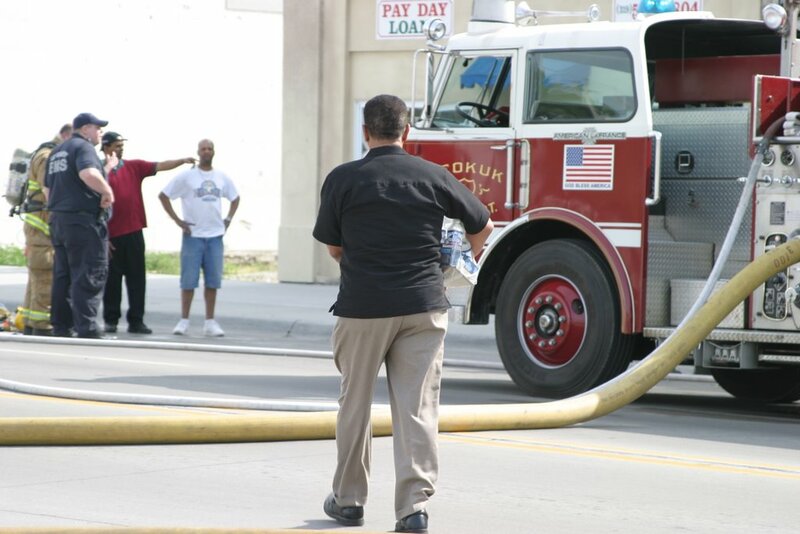 One gentleman walked down the street and purchased a flat of bottled water for the firefighters. One woman took time to offer the assistance of her church, and to just stand by, in case the young woman needed anything else that she could provide at that moment. 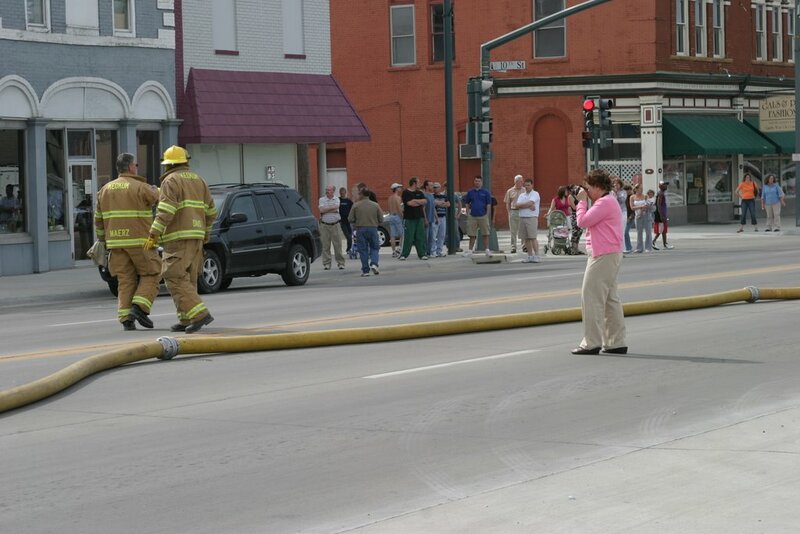 She also took time to go get cold water for the firefighters and those struggling with such a devastating loss. As I watched this, I knew in my heart that this was Christ in action. It's difficult to stand by, seeing others reach out to strangers, knowing that I, too, should be offering some kind of help. 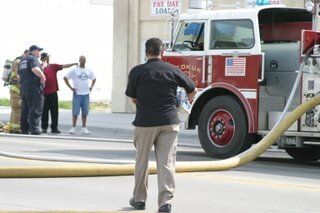 I approached one of the men who apparently knew the woman who's places was burning. I offered a card with my name and number on it, and said that my church offers help to people in need; if she needed anything now, or 6 months from now, give a call, and we'll see how we can help. While I feel that in some ways I should have been more proactive, for me, it was a big step to approach a stranger, and offer a card. Maybe, 6 months from now, that card will do someone some good. At least I redeemed myself from simply being a spectator occupying sidewalk space! I was not prepared. At least you had a card to give. a moving post. thanks for that, miss carrie.